Something has changed in the garden. The tasteful pastel shades of spring and early summer have slipped away leaving space for more dramatic plants in eye watering shades of magenta, orange and red. A visit to Christopher Lloyds’ garden at Great Dixter years ago opened my eyes to alternative colour combinations in the border. It’s just a matter of being brave and bold I think and choosing plants you love… no matter what your friends say! I’ve been experimenting each year since then and I love the bright colours of summer. But I’ve also developed a few “rules” for my own summer border. 1) Include perennials in shades of pink, red, purple, blue and orange but no yellow. 2) Grow supporting shrubs with grey-green foliage such as Roses, Buddleja and Euphorbia. 3) Include white flowers throughout the border. I particularly love orange. Right now orange flowers are the stars in the summer border. There are Dahlias, Hemerocallis and a bright orange Lonicera – Honeysuckle. Many perennials reach their peak in mid July. Somehow when the sun is high in the sky more intense colour and drama is required in the garden. So that’s why I choose some really bright plants. There are lots of beautiful dramatic perennials to choose from. It’s well worth visiting an open garden to discover your favourite. You’ll be able to see them in full flower now. Are you bold with colour or do you prefer more tasteful borders? For more about Heleniums click this image. 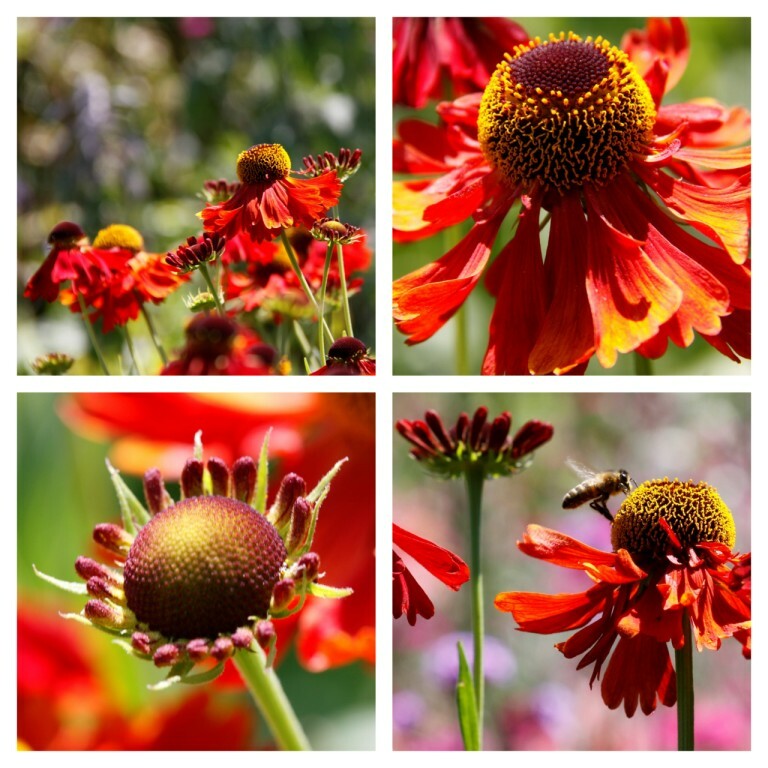 I have the very same Helenium – wonderful isn’t it. Such a beautiful colour. This is the second year I have had it and it has managed to survive very well – just coming into flower now; I can’t wait.